Are we just puppets, dancing to the tunes of our masters who keep changing? Are we tuned to twirl and change according to the wishes and expectations of people around us? The most powerful weapon is love, which influences us instantaneously. Equally potent is emotional blackmail. Just watch children who can be easily trained with affection and endearing emotions. As we step out into a wider sphere, we come across many people who can easily pull the strings and enjoy doing so! Which side of the fence do you sit? A marionette is usually a laid back person, does not have strong opinions about anything and lacks the determination to resist any control. Circumstances, people, society, family members, someone at our work place…could be our Puppeteer. Since childhood we are conditioned to follow certain values and beliefs, which mold our personality. The environment in which we grow, the kind of people we interact with nurtures our thoughts and emotions. Living with manipulative people who try to control even our emotions may affect us in a negative manner. They make us believe that the whole world is like that; nothing works right without pulling the strings. They try to prove that they are always right. I have worked with such persons. They are so efficient at creating their own puppets that many willingly walk into their den! Flexible and weak-minded persons let it happen before they figure out how much they manage to change us. Once we realize that we are being pulled into the world of our manipulators, we can unfetter ourselves before they take control of our thoughts and opinions. It is quite difficult to fathom the depth of their snares; these ‘brainwashers’ possess the clout to clutch us, without any real force. They can overpower our minds just by talking or lurking behind the screen, influencing us through our own weaknesses. I have been trying to understand the emotion attached to this kind of mindset – is it manipulation or inherent trait of establishing supremacy or both? Why do we let our strings be pulled? Is there an emotional reasoning to tolerate them? Don’t we encourage them by complying with their unfair demands, which keep going up, as we get accustomed to getting pulled? Slowly we may accept the behavior of such people who try to condition us. Have you ever tried to wriggle out of their effective tactics? Make an effort; that is the first step. Be firm. We can convey our unwillingness to follow them blindly without being impolite. Develop the habit of taking your own decisions. Love can never be an excuse to give into the demands of such people. Real love does not demand anything. Don’t get carried away by their appreciation, which might be another strategy to use you or get more work out of you. Refuse to give into their intimidation; fear is the major cause of becoming a puppet. Be patient; study the demeanor and demands of such people and then decide. Impetuosity doesn’t help much. Respect your self-esteem and your rights. Think freely and nurture the resilience to push all the pressures away. Work on your weaknesses. Don’t talk about them openly as they can be exploited against you. I have raised my questions in this post and would eagerly wait for your opinion. Previous Why I Married At 23…Sometimes We Do Make Wrong Decisions! Great advice, Balroop. I like the questions you pose for us to think on. I know the struggle is one of power between would be puppet and puppeteer. It makes me think of The Wizard behind the curtain. He really has no power unless you let him have it. “You’ve had the power all along, Dorothy.”-The good witch-The Wizard of Oz. Love this post!! I am always struggling to keep my power. I was recently told that I ‘had no choice’. That’s a LIE. We always have a choice. The choices may not be great ones, but there is always a best one! Thanks, Balroop! You are right, nobody has the power unless we give them but there are weak minded people who let themselves be influenced easily out of love, humility or goodness. Like you say, one has to struggle to keep the power but those who don’t struggle or those who don’t have the inclination are the ones who get manipulated. I detest both! Having struggled to resist control, refusing to dance to the commands of others and rubbing this on them produces strong personalities and I have learnt this as an important lesson of life. I agree that absolute altruism is just a window dressing for gratification of personal urges to gain power or status but emotional control is most conspicuous in relationships, many of which bank on love and faith and we fall an easy prey to them. Despite all the skills we learn, influencers do get away in brain- washing, as their skills of control could be more subtle and unconventional. Thanks for such a profound insight, which has added so much value to this post. Stay blessed, dear friend. You know sometimes you need to be a puppet and let others handle you like they want, as you just let go and be in the flow, mostly family and loved ones. While at other times you like pulling the strings, especially if you are the authority and you want people to listen to you, sometimes even at home. Your points are spot on – and you right, we need to keep away from those who might be manipulators and not really mean us good. With the kind of people around, you just cannot be too sure who is there as the puppet or puppeteer. I could be none of them but I found great contentment that I am different and let people take their own decisions, especially in a family. I could have given advice but never tried too hard to change the decisions in my favor. I feel if the advice is given in the right spirit, it may take time but it seeps in. I know those who are good at pulling the strings are winners in many ways but they are known by that nature. Everybody is smart enough to understand the puppeteers and they get exposed sooner or later. Thanks for standing by and sharing your view, always appreciated. I believe that it has to be with the nature of human relationships at the end, pulling the strings or being a “puppet” … But no matter what we can not control our lives through these mechanisms… They are just attempts, I think!~. You are right, certain things are beyond our control and when we realise this, we consider fate to be pulling our strings but I am not sure albeit I have come across many such moments. We may submit before such situations but submitting before the people who try to control our lives seems to be really repulsive. Yes, they are just reduced to be attempts if we are strong enough to resist those efforts and we succeed in sending a clear message that we can’t be manipulated according to their whims and fancies. The tact comes with age and experience though. Thanks for sharing a lovely view. Stay blessed, dear friend! 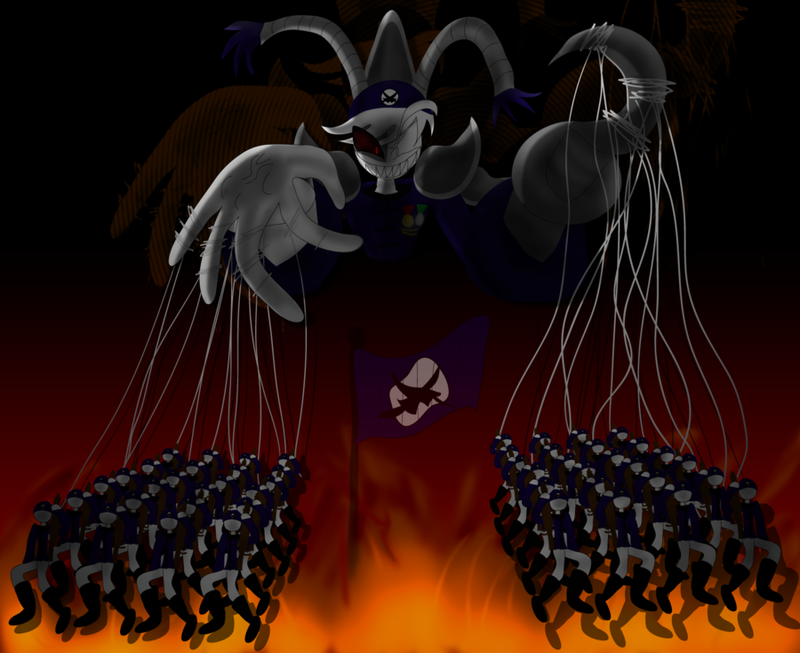 To be honest, I am not sure I would want to be the puppet (submissive) or the one pulling the strings (manipulator), unless of course I am pulling the strings of my own puppet 🙂 Seriously though, there is an important step, for me at least, before incorporating any of the wonderful ideas that you suggest Balroop. That would be awareness. If we are not aware that we are being manipulated – either intentionally or unintentionally – it is going to be really difficult to even know to take the steps necessary to become our own master. I have felt my own strings tugged at times, and it’s not any easy thing to deal with, especially when you are one to avoid confrontational situations. But, these are wonderful ideas to help begin taking steps in the right direction. Thank you Balroop, very insightful and helpful article! 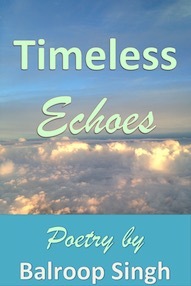 You seem to be very aware of all the influences around us, your stories articulate it so well. Yet there are moments we give away willingly to our loved ones, which we may not realise at that time…and there begins the pulling, a very soft one, never direct! As always, I am so grateful for your presence here to share your view. Stay blessed! 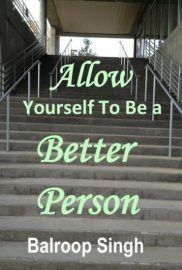 It is quite strange that you are aware of the negative influences yet you let your own puppeteer take control over you! I do hope that you will drive away this monster to take all the control in your own hand. Yes, that is what is real learning…when we are aware and we make an effort to become better. Thanks for the comeback, greatly appreciated dear friend. Thought-provoking as always, Balroop. I think a big part of this process is identifying what it is that people manipulating us are doing. Recognition and acknowledgment of manipulating behavior as you’ve described is an important step 1. Once we recognize what’s going on, you’ve equipped us with effective ways to stop the manipulation. What I get from reading each of your tips is to be cautious, be weary and be true to yourself (regardless of what the manipulator may be doing). There are people around us who accept this kind of behavior willingly, thereby giving a message that we are ready to be manipulated. No wonder this kind of attitude becomes an accepted norm – both for the puppets and the puppeteer. 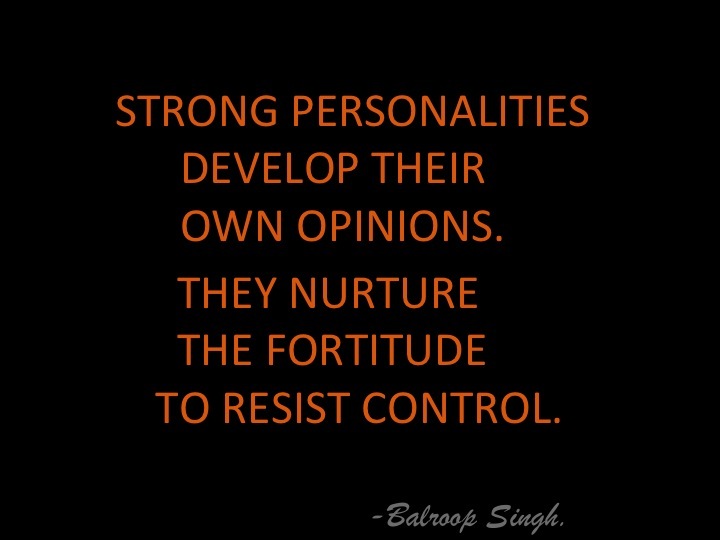 Those who try to resist are considered to be conceited! Yes, we need to acknowledge that manipulators are all around us, that they try to take advantage and even oppress when they get an opportunity. You two point formula can really work well! Thanks for taking out the time to read this and add your insight to the discussion. This is a wonderful take on the facet of our interaction and relationship…the manipulators and the influencers both co-exist in the same space, and it is for us to spot the difference and it is not always ease, as it is presented in disguise in the canvas of real life, everybody has there are own agenda and in today’s world people have become more self-centric and with multiple mask we keeping were in our multiple roles we play, it is indeed really difficult to put in black and white space, it has a substantial grey area overlapping this two space…so we get lost in searching and segregating the influencers from the manipulators. Yes, we need to be firm, we need to assertive and we need to vigilant, we need to be smart not over smart and we need to be confident and not over confident…we then can carry a balanced perspective in dealing and handling such recurring situations in our daily life…. Yes, it takes some time and experience to understand human behavior, though so common yet uncommon! Influencers and manipulators probably have the same motive – to control, to establish their own authority and if they get the opportunity they can take it further to the wicked and selfish levels of gratifying their own ego. I think awareness and vigilance can send a strong message to these people that we know, that we are no fools, that we have our own mind…though all don’t think alike, some let it happen as it might serve their purpose too. Thanks for the kind and appreciative words. Stay blessed. Indeed it is a lovely thought… Yes, you are right the motives behind the influencers and the manipulators almost remains the same…self control is always better than being governed by the wands of other’s magic. Self help is the best help and we should minimize our dependency on others and make our decisions…yes, better awareness can make a big difference.